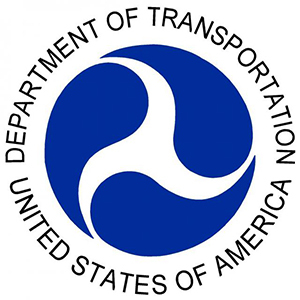 The U.S. Department of Transportation finally released the much awaited final Hours-of-Service (HOS) ruling for commercial vehicle drivers this week. Mandatory Rest Break- Drivers will not be permitted to drive if 8 hours have passed since their last break of 30 minutes or more. Maximum Driving Hours- There is still an 11 hour driving time limit, but there is now also a consecutive driving hours limit that says no driving may occur if more than 8 consecutive hours have passed since the last break of 30 minutes or more. 14 Hour Consecutive Hour Day- There is still a 14 consecutive hour driving window, but with the new required 30 minute rest break, maximum on-duty time within the 14 hour window can actually only be a maximum of 13.5 hours. No driving may occur after 14 consecutive hours since coming on duty, but non-driving work is allowed past the 14 hour driving window. Restart- Any restart period must be at least 34 consecutive hours long and must include two consecutive nighttime periods between 1:00-5:00am. Drivers are permitted to use the restart provision only once a week (168 hour period). Other changes in the new ruling include oilfield provisions, definitions of on-duty time, and new penalties. For the complete ruling and more details, visit the FMCSA website. Though the new ruling goes into effect for all commercial truck drivers, it is most likely to affect over-the-road, long-haul truckload drivers. Under the current rule, drivers could work up to 82 hours a week, but with the new provisions, the new HOS ruling will limit a driver’s work week to only 70 hours. While the FMCSA is making these changes to support driver health and safety, other trucking organizations aren’t so sure. The American Trucking Association expressed frustration and disappointment saying that the rule will do nothing to improve highway safety, but instead will likely increase the risk of truck-involved crashes. According to ATA, the new rule will put more truck drivers on the road, causing more trucker traffic and increasing the likelihood of crashes. The new HOS ruling won’t be effective until February 2012 and the actual compliance date will not be until July 1, 2013. Since the ruling does not go into effect for another year and a half, this will give trucking companies time to reconsider their current systems, the ATA time to consider what their legal options are, and the FMCSA time to collect further safety data. Much like the recent hand-held cell phone ban that was passed, trucking industry support for the hours-of-service ruling seems split. Driver Solutions will continue to stay up-to-date on the new HOS ruling so we can keep you posted on how these changes may impact the trucking industry. What are your thoughts on this new rule? Do you feel it will help improve the safety on the highways?